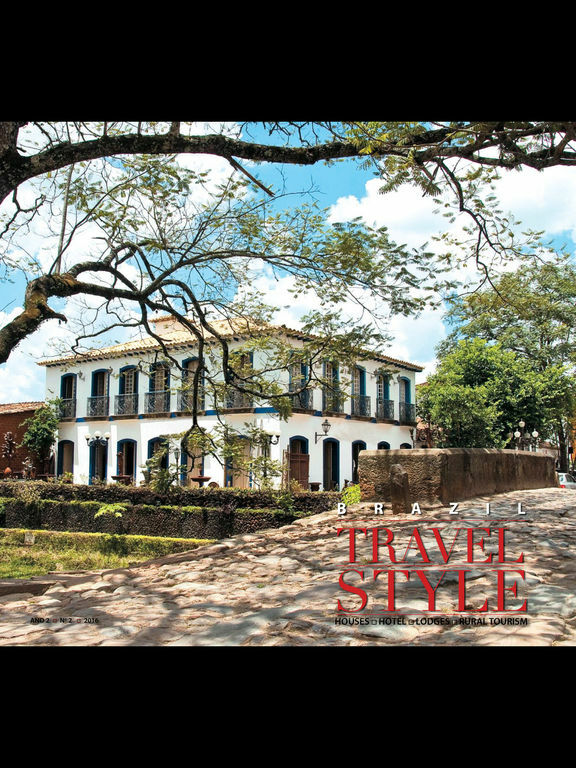 BRAZIL TRAVEL STYLE is the guide for readers in search of an unforgettable stay in Brazil. 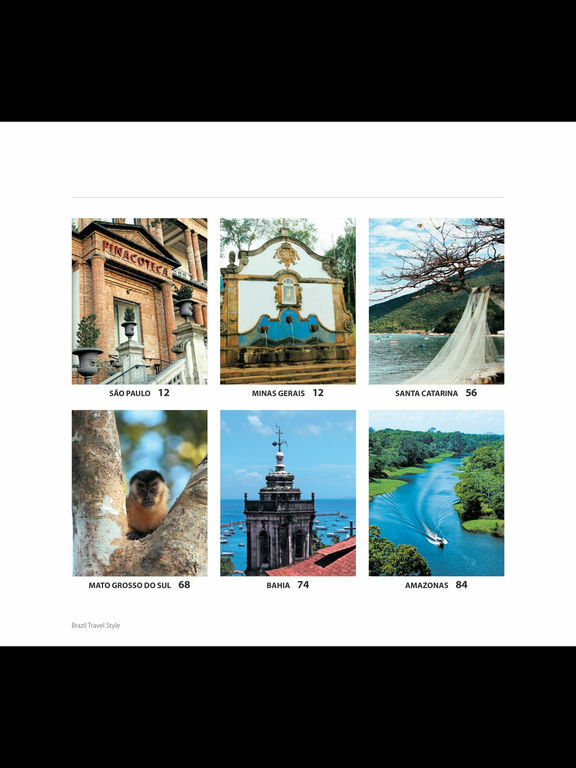 Charming inns, hotels, farm hotels, manor houses and lodges are shown in revealing photos and useful information to live the secrets of Brazil's rich diversity. 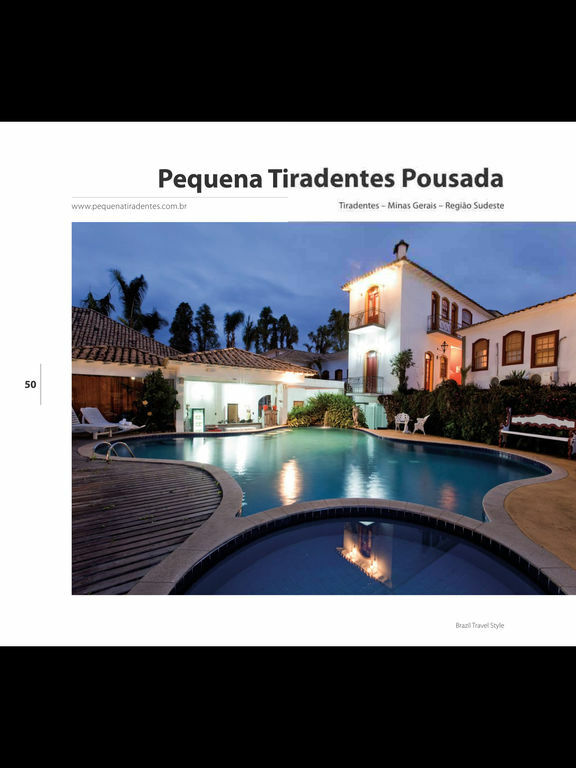 The hotels of BRAZIL TRAVEL STYLE - unique in its class - stand out for the excellence of its personalized service, elegant simplicity and passion for perfection. Accommodations offer comforts and delicate surprises. Local flavors are made with the best spices. 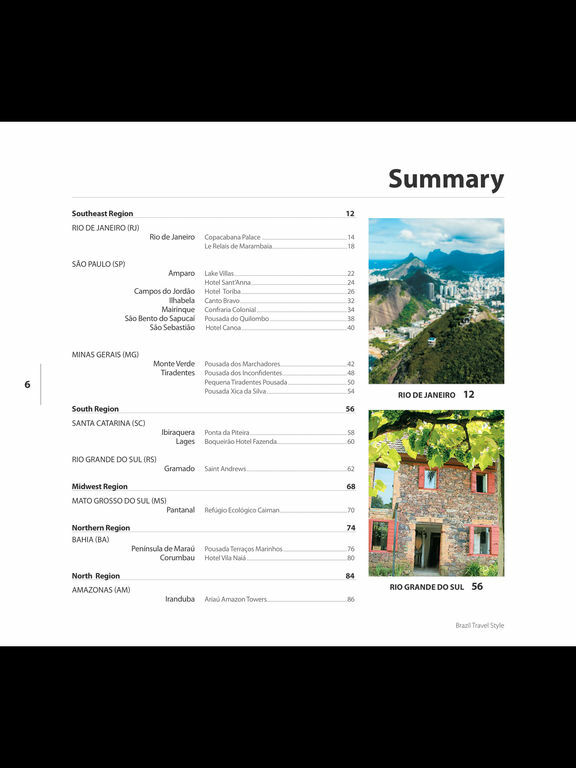 BRAZIL TRAVEL STYLE has graphic and editorial quality of international publications. 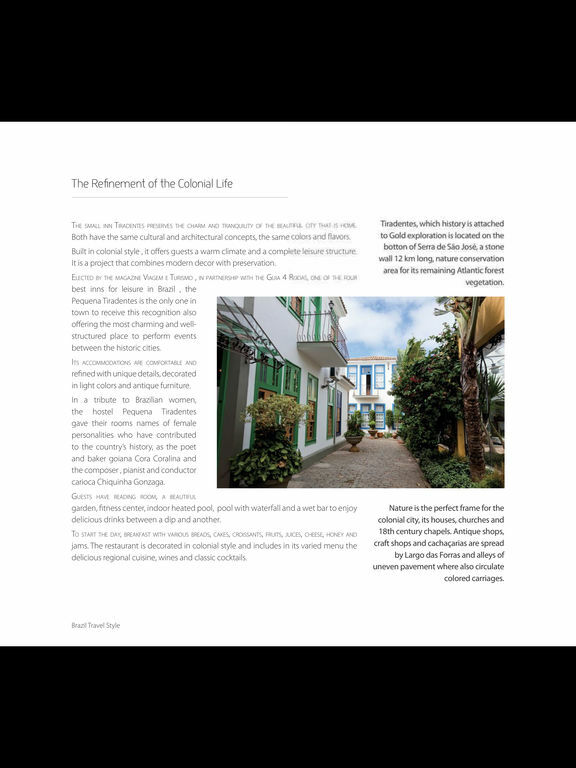 Each BRAZIL TRAVEL STYLE scripts have what's most unique and fascinating in five regions of Brazil: from the sea or an exclusive beach in a historic town or a big city. In all the choices, accommodation conditions much to the taste of consumers.